The renowned physicist and futurist Dr Michio Kaku describes science as ‘the engine of prosperity.’ The UK government agrees with him and has science front and centre in the Industrial Strategy. Life science leads the way – not just the subject of the first sector deal, published a year ago, but now followed up with a second package of measures in December 2018. The health of the sector in 2019 will continue to be a major focus as the UK navigates all the issues surrounding Brexit. The first phase of strategy was about joint commitments between the government and the sector to invest in the life sciences landscape. The focus has now expanded in the second life science sector deal to significant actions to transform the prevention, diagnosis and treatment of chronic diseases by 2030. It’s encouraging to see the priority given to our industry but the UK has a deep science base. In the blueprints for how we take the sector forward it’s important that policy makers do not overlook where the seeds of enterprise are growing. Universities are at the core of our ability as a nation to nurture the key ingredients of innovation: acquiring new knowledge, comparing ideas, seeking solutions, fostering inventiveness. The UK’s 24 leading research universities are represented by the Russell Group and collectively inject nearly £87 billion into the national economy every year. Some 17 of the 24 universities are based outside of the ‘Golden Triangle’ of London, Oxford and Cambridge. They are fundamental to how we develop the life science economy, collectively providing the framework on which the UK can further develop a high value, highly-skilled economy. The imperative to do more for the regions is reflected in a wider sense by research conducted by the accountancy firm EY. In its UK Regional Economic Forecast, published at the end of 2017, the data showed that there has been little progress on geographical rebalancing of the UK’s economy in the last three years. Furthermore, the economic divide between the North and South of the UK was forecast to expand over the next three years, albeit at a slower rate than previously. London and the South East will continue to outperform all other UK regions through to 2020 with Gross Value Added (GVA) growth per year averaging 2.2% and 2.0% respectively, compared to 1.8% for the wider UK. The second life science sector deal does contain some £1.6 billion of planned industry investment in the North over the next five years. The Northern Health Science Alliance (NHSA), which creates collaborative research partnerships across the North's leading universities, research-intensive NHS trusts and four Academic Health Science Networks, has in particular welcomed the package. It points out that the Northern Powerhouse is home to 21% of the total UK life science sector workforce, and has grown by more than 9% to over 50,000 employees since 2012. Latest figures for 2017 show the value of this sector in the North to be over £13.6 billion. The sector deals do not exist in isolation. In 2015, the Government announced regional Science and Innovation Audits (SIAs) in order to foster a new approach to regional economic development. We are seeing some progress here. Now in its third wave, SIAs are helping to galvanise sci-tech related enterprise across the country. But the volume still needs to go up on the message to central Government: the regions are not looking for hand-outs, but rather recognition of what can be achieved by building on the intellectual and entrepreneurial base around the country. Funding is of course a critical component of success. The Industrial Strategy set out the laudable objective of the government working with industry to boost total spending on research and development to 2.4% of GDP by 2027. The context here is worth keeping in mind. According to World Bank figures, Korea (4.2%), Japan (3.3%), the United States (2.8%), Germany (2.8%), Switzerland (2.4%), France (2.2%), and China 2.07%) are already making a bigger commitment to R&D. This compares to the EU average of 2.03%, and puts the UK 22ndon the list of OECD countries, behind the likes of the Czech Republic, Iceland and Slovenia. Why does this matter? R&D is the key driver of economic growth, and of productivity growth. The Office of National Statistics has itself observed that “overall R&D intensity in the UK has been fairly flat throughout the 21st Century, at or around 1.6-1.7%.” It says that by focusing on civil (non-defence related) R&D, in 2016 some 53% of all R&D performed in the UK was funded by businesses, 8% by higher education institutions or funding councils, and 17% by Government, including the Research Councils. Another key issue is technology transfer. According to research conducted by Professor David Gann and Professor Nick Jennings at Imperial College London, the best UK universities compare favourably internationally. Oxford, Cambridge, Imperial, UCL, Manchester and Edinburgh regularly benchmark their performance in technology transfer. This includes the number of invention disclosures per £100 million investment in research, where they calculate that the UK (74) outperforms the US (58). In patent productivity, the UK slightly outperforms the US, and in IP income, it is catching up: the US achieves around 4% of research resource, the UK 3%. The professors ask quite simply how can the flow of ideas be accelerated – and point the way to the answer. They call for substantial new support for the innovation clusters in major cities that are growing around research-intensive universities. In my view there’s in fact a great deal of consensus around this point - innovation clusters/districts are one of the best routes to meeting the objective of the public and private sectors investing 2.4% of GDP in R&D by 2027. 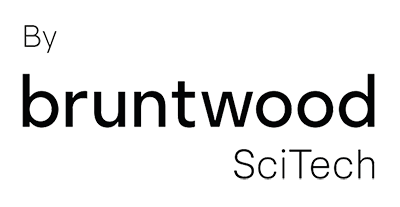 The potential in cities like Manchester, Liverpool, Leeds, Birmingham and elsewhere – all cities with fine universities – is palpable and was one of the drivers behind the creation of Bruntwood SciTech earlier this year. The new venture was formed by leading property company Bruntwood and Legal & General Capital, one of Europe’s major institutional investors. The business has nailed its colours to the mast of the regions, starting life as the custodian of the UK’s largest portfolio of science and technology assets. It includes more than 500 science and technology businesses, ranging from digital start-ups to global life sciences companies. The two partners have invested £360 million of capital, property and intellectual assets into the new venture, with a business plan supporting the creation of over 20,000 high value jobs in the regions over the next 10 years. That portfolio includes Alderley Park in Cheshire, now home to a growing community of 70 SMEs and 150 start-ups. The ongoing programme of investment at the Park has supported the expansion and development of our ecosystem of high specification labs, offices, scientific services and a programme of specialist business support. Alderley Park also has two venture funds based here one of which, the £42m Greater Manchester and Cheshire Life Science Fund has already invested in 25 businesses across pharmaceuticals, biotech, diagnostics, CROs and medical devices. The model here is about making sure we have genuinely world-class facilities for science and technology businesses at every stage of the lifecycle from start-up to large corporate within one location. The chances of any IP-based businesses succeeding are massively enhanced if it’s operating in an environment where you have the right elements - by bringing these elements together in clusters in regional cities we have seen how it can have a transformative effect. While we’re extremely proud of the work we do, we are adamant that we need more sites like ours across the country – both to spur us on and to improve the number of scientific breakthroughs generated throughout the UK. The business is aligned to the broader notion of rebalancing the UK economy so that it is not overly-reliant on London and the South East. That’s not about the old North v South rivalry, to even East v West, but rather fostering competition for the greater good. Initiatives such as the Northern Powerhouse and Midlands Engine have science and technology as a priority area. At the same time, through devolution and other key initiatives, the Government has made a more determined effort to unleash potential. In the post-Brexit era, greater collaboration within the UK – a more joined up approach and greater awareness in Westminster of the economic potential in the regions – will be essential. The UK is a small country, with distances between the respective science and tech clusters insignificant compared to, say, the USA or China. The last thing we need to do is underplay what’s on offer outside the traditional research hotspots.